At Evergreen Adoption Services we are committed to making the home study process a comfortable, informative, and enjoyable experience. We’ll collaborate with you, the prospective adoptive parent(s), and build a supportive, open relationship. We understand the importance of building a positive working relationship between a family and a social worker during the adoption process. The process can, at times, be an emotional rollercoaster. That’s why, from the start we emphasize our relationship with you. We are your partners and advocates. You are not alone. We know firsthand the strength and tenderness a loving, stable family can provide to an adopted child. We’ve witnessed it hundreds of times, which is why building families through adoption is our greatest passion. For over a decade we’ve worked with children and families. 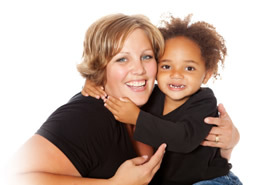 We’ve collaborated with numerous adoption professionals and organizations. We continually sharpen our skills and keep current with the law by taking adoption trainings and courses. We’re up-to-date on the latest adoption information and requirements. We participate in community awareness and education regarding adoption. When you contact Evergreen Adoption Services we’ll respond quickly, and complete your home study in a timely manner. We’ll provide you with a document checklist to help you assemble the required information and paperwork. We will support, educate, and prepare you throughout your adoption process.